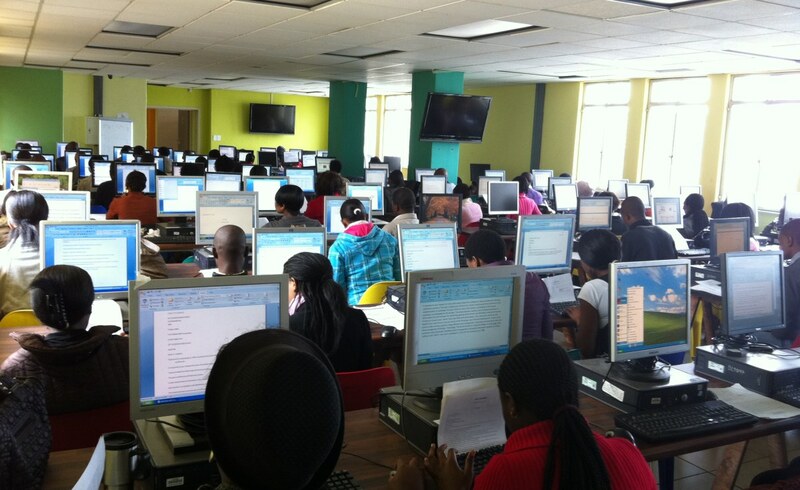 Joint Administration and Matriculation Board, JAMB is the greatest problems almost 80% of Nigerians seeking admission into the Universities in Nigeria faces. But the good news is, you can actual skip JAMB and still enter the University. Secondly, statistics shows that more than even below 50% of those that even passed not JAMB will gain admission into the university that particular year. If a student fails JAMB, he/she is forced to sit back at home to retake the examination the later year. Imagine that the aspirant, unfortunately, fails JAMB again; he/she will get discouraged from pursuing his/her goals and ambition in the university. Many dreams have been killed, many future ambitions have been aborted and many hopes have been lost as a result of this consistent failure. Most students have lost the sight of other easy ways of gaining admission or they are unaware. Though some of these methods are a little bit expensive than JAMB, they are worth it. This is the second most popular mode of entry into the university. This mode of entry projects the aspirant into 200 level or 300 level (if they already completed the first-degree programme) in any university in Nigeria. You are eligible through this mode of entry into the varsity after successfully completing any A’level programmes in Nigeria. It is the least common mode of entry into the university. It was introduced to remedy the consistent mass failure usually recorded by students writing JAMB and Post Jamb (before it was rendered obsolete). This background establishes the need for a Pre-Degree programme that would serve as a platform to equip prospective students for university admission, giving them a good head-start and promote superior studentship in the University. In fact, this mode of entry enjoys a high fraction of “admission sharing” among others. This is so because respective institutions host or manages the remedial/pre-degree programs solely. Students are required to choose three subjects in addition to English. The validity of the result is after a year and the admission through this mode of entry get you into 100 level of the university that hosted the program. IJMB programme is moderated by Ahmadu Bello University, Zaria. It is designed to solve problems of admission for candidates seeking admission into the universities. IJMB examination is conducted in February of every year in designated and accredited institutions, while the result is released within 90 days of the examination for admission processing. To be eligible for the IJMB program, a candidate is required to obtain at least 5 O’level Credits in relevant subjects (WAEC, NECO or NABTEB) at no more than two sittings. Awaiting result candidates can also apply. The IJMB program is conducted in accredited study centres across the nation for a period of 8-9 months which is from a period of 2 Semesters. IJMB examination is usually written in the month of February. The Joint Universities Preliminary Examinations Board (JUPEB) is a national examination body approved by the Federal Government of Nigeria in December 2013. It was formally established in April 2014 by a consortium of ten (10) partnering universities led by the University of Lagos. The JUPEB Advanced Level programme runs for a period of two semesters, after which a successful JUPEB student graduates into 200 level in the University through direct entry. All courses are available for JUPEB programme. Unlike JAMB, the result obtained from JUPEB programme as no validity period (it does not expire). Candidates seeking admission into the JUPEB programme must possess a minimum of 5 Credits in relevant O'level subjects from WAEC, NECO or NABTEB in not more than two sittings. Awaiting result can also apply for the JUPEB programme. Advanced Level NABTEB is a programme to cater for those who wish to gain admission into Nigerian universities but have not been able to do so through JAMB. NABTEB A Level serves as an alternative route to getting admission into the university without JAMB. Another fascinating thing about this programme is that you can study almost all the courses in Nigerian universities. When you attend lectures in any of the approved NABTEB A’ Level Study centre and passed, you will be able to combine the result with the Direct Entry form and use it to gain admission into 200 level of any university. Although, not all universities accept NABTEB A Level result for now.